There are a lot of different discoveries but I can say that the discovery of X-ray was a great discovery of the 19th century. In 1875 Wilhelm Conrad Roentgen discovered radiation called x-ray and investigated its properties. There are many people who changed the world. They are scientists, athletes, actors and musicians. It is a musician that I want to tell you about. A musical group «Placebo» from the UK is the idol of alternative rock. The soloist of this group is Brian Molko. Alfred Nobel, a great Swedish inventor and industrialist, was a man of many contrasts. I'm looking at a black-and-white photo of a young woman with wild black curly hair, nothing special about her face, she isn't even pretty, I guess. If I had been her contemporary and someone had told me that one day this lady would turn the world of fashion ruled by men upside down, I'd have never believed. Now Coco Chanel (name at birth Gabrielle Chanel) is not only a well-recognized and lavish brand but an icon of understated style, none would argue, right? We live in the era of IT and don’t know how contemporary technologies came to us, but all modern inventions are connected somehow with Dennis MacAlistair Ritchie, the creator of UNIX operating system and C programming language. Have you ever heard about him? No? So, I am going to tell you about this great man. 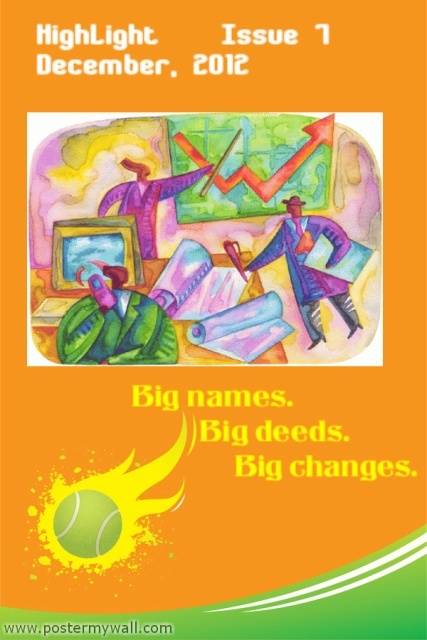 Big deeds by big Names can be a cause of big changes. What does it mean "Big deeds”? It is a situation which is observed in media, touches a lot of people.The notion "Big names” is a person or people who do something and become famous. Historical person that influenced me greatly – Peter the Great, Tsar and the first emperor of Russian Empire. Have you ever wondered that Audrey Hepburn was not only an actress and a fashion icon?The aim of my article is to show how a tender and beautiful lady can make great deeds to humanity.This story might inspire you to do miracles too!